Such a great quote and love the photo of Ireland. Going on a couple months. Cannot wait!!! I had to look up the source of the quotation. It’s from his “De Profundis,” written when he was in jail, which makes it more moving. The Irish house and garden are so pretty! 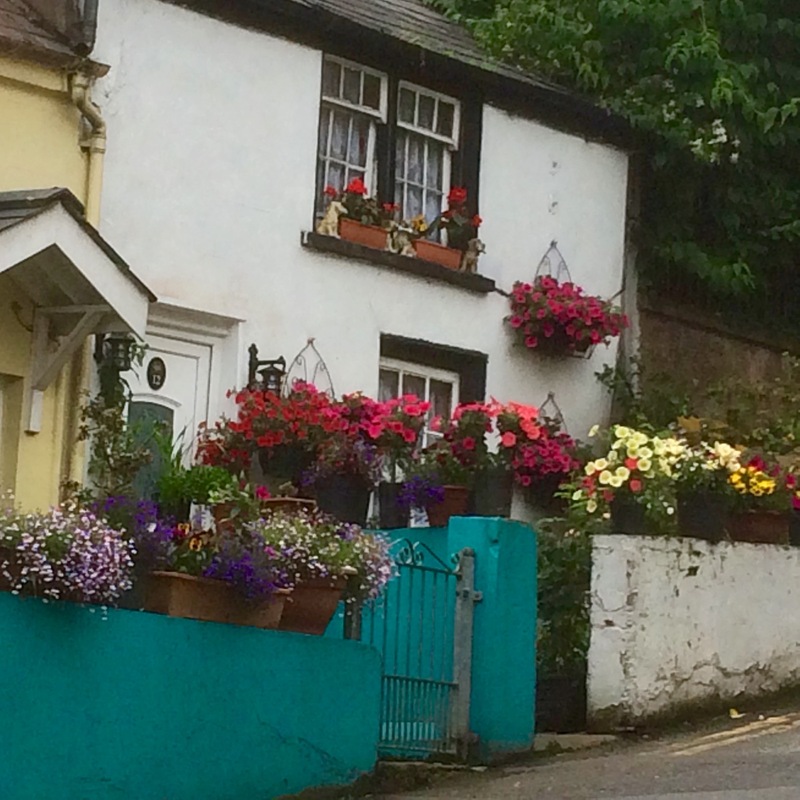 Such gorgeous little cottage. What fun. And yes to the quote. Yes! We are ready for your return. There are so many more roads to lose yourself on, pubs to visit and songs to sing. How charming. What a beautiful place! That’s not asking for much, Beth. Have any stories from your trip? Who, indeed. I hope to find another opportunity to sit where another great Irish writer has sat. THAT sounds like an amazing moment in time. What a poignant quotation. Isn’t it funny how many people who have all those things still aren’t happy? 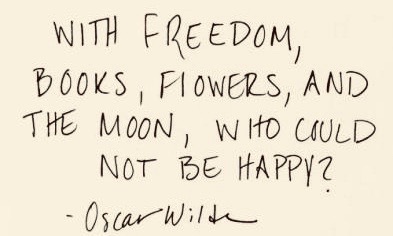 Books, flowers, the moon and stars. These never fail me.